Cao Cao (born in Bozhou, Anhui, China, died in Luoyang) was a famous Statesman from China, who lived between 155 AC and 220 AC. 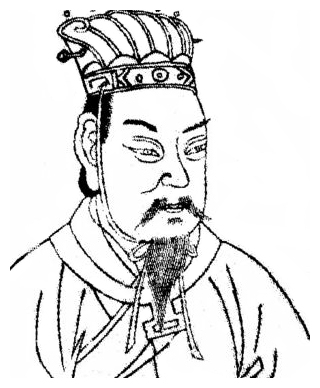 Cao Cao was a warlord and the last Chancellor of the Han dynasty in ancient China. As one of the key figures in the three realms period he laid the foundation for what would become the Kingdom of Wei (also known as Cao Wei) and was posthumously awarded the title of Emperor Wu of Wei (魏武帝). Although he is often described as a cruel and merciless tyrant, Cao Cao was the story according to a brilliant ruler and military leader and he looked at his generals as a family. He also had skills in poetry and martial arts, and wrote many war journals. He's second son Cao Pi took over the kingdom after Cao Cao, and proclaimed himself emperor. Our collection contains 2 quotes who is written / told by Cao. "What is at a peak is certain to decline. He who shows his hand will surely be defeated. He who can prevail in battle by taking advantage of his enemy's doubts is invincible"
"I'd rather betray the world than let the world betray me"